Taste test: This wide, thick snack bar had a dark fudge icing covering, topping off an equally dark, dense fudge cake. It was kind of crumbly and tasted pretty good, but it was nothing spectacular. Smell test: Good sweet fudge smell. 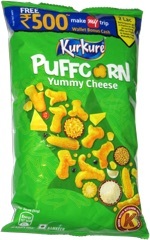 This snack was discovered by Jeremy. Review published .